Geology Slumped limestone block below cliff formed from The Main Limestone. 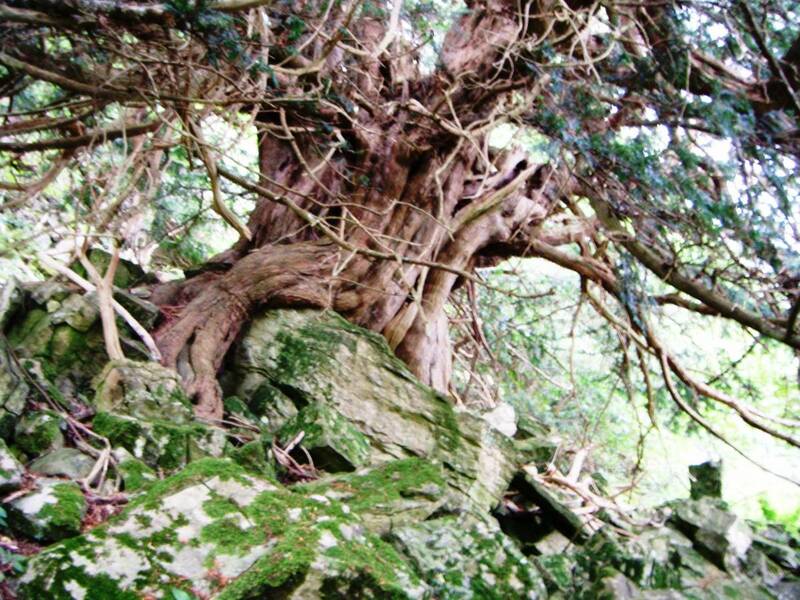 Record Description This magnificent ancient yew tree whose single trunk measures 5.07m girth grows directly on a large detached block of solid limestone, its exposed root system securely clasping the rock. This yew is the largest single stem yew tree located to date in Swaledale. 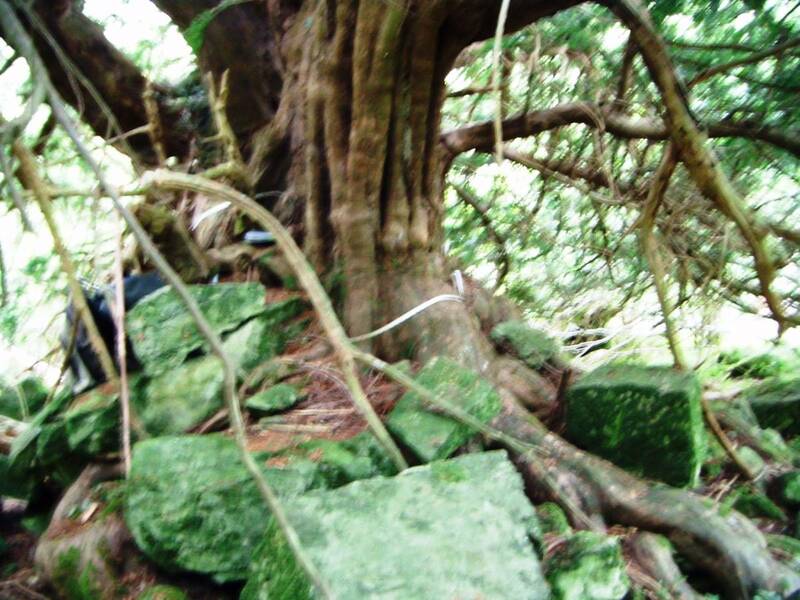 At 5.07m (17 ft) girth this tree is of similar proportions to the famed Lorton Yews and other ancient churchyard yews. This Clints Yew however grows high on an exposed westerly facing slope directly on limestone, not in deep fertile churchyard soil. The growtrh rate of this tree will have been very slow. 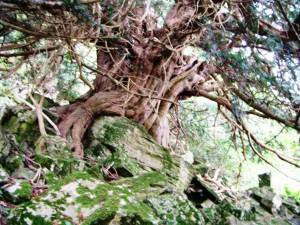 This tree grows within mixed deciduous limeestone ashwood with other fine yews. 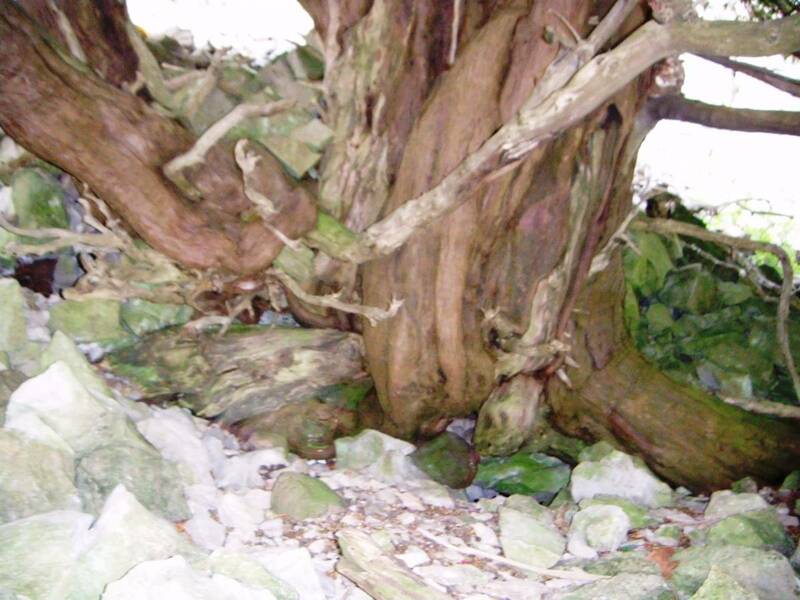 This tree is within private woodland but can be seen from a nearby footpath. Image 1 Description The Clints Yew. Image 3 Description Clints Woodland seen from Orgate Scar. 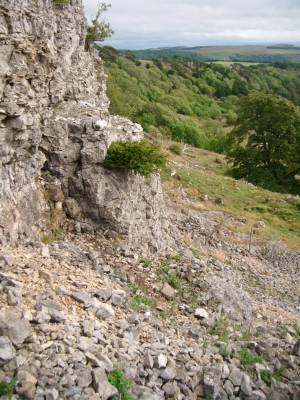 The large Clints Yews can be seen in woodland below Clints Scar in the distance. Image 4 Description Most of the many very large yews in Swaledale grow in scree and are multi-stemmed, like this example which grows on limestone scree below Orgate Scar.